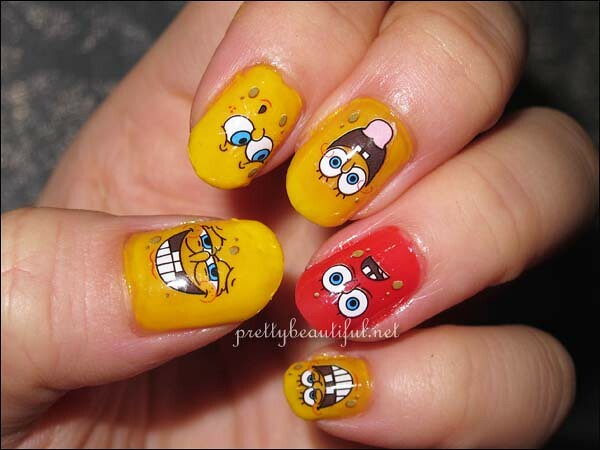 Create Spongebob Squarepants Nail Art in 15 Minutes! 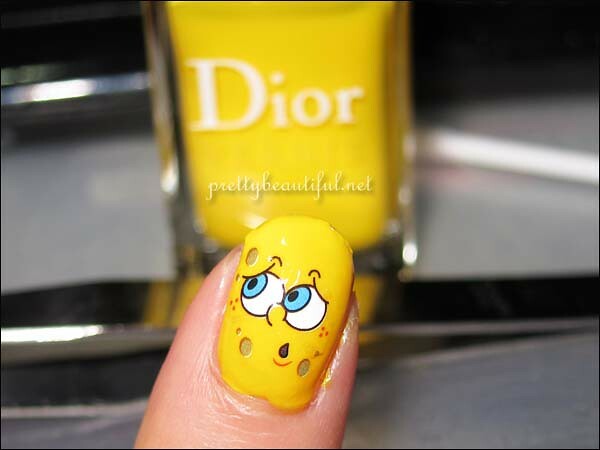 Remember the first time when I painstakingly painted Spongebob Squarepants nail art? I have finally bought myself some life-saving stickers for fun – water decal. In short, they are just stickers. 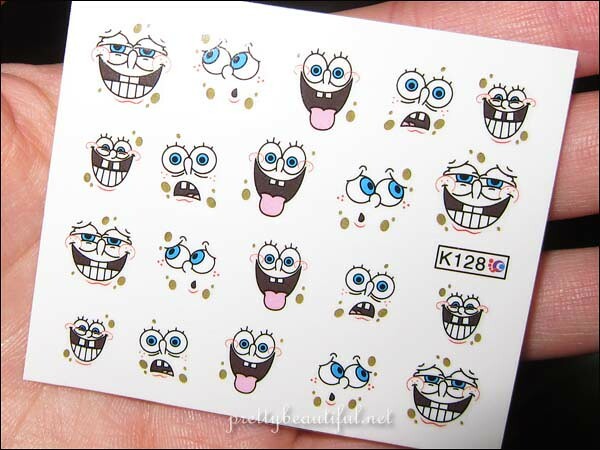 I bought it from nailfiesta.com for RM3.50, and oh boy it’s fun! It comes in one sheet so you will have to cut it up to use it on different nails. Before you stick the nail art, color your nails first with your preferred base color and allow it to dry thoroughly. 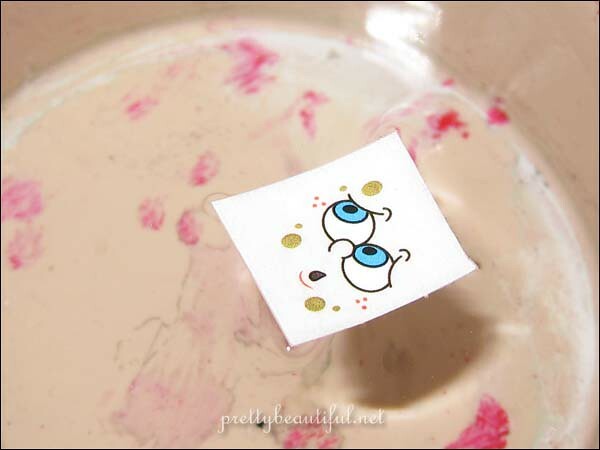 Then, soak the sticker in the water for about 20 seconds. Pick it out carefully with your hand, or a tweezer. Remove the sticker part from the paper and you will see a transparent design. You can clip it up or slide it with your finger to make sure that it does not tear. I am using Dior Summer Mix vernis Acapulco as the base color. Press it down a little and adjust it accordingly. Make sure it is slightly wet so it will adhere to your nail. Gently press it down and let it sit for a while before applying top coat. Repeat for all nails, apply a top coat to secure, and you are done! It’s so simple, precise, and best of all – it doesn’t require any skills… 😉 and it stays on your nail as long as until you remove them. HAHAHA! I love how super easy this is 😛 I must note that I have seen this on you and it looks terribly professional, like it was a nail sticker! Well done! LOL it is super easy and mess free! 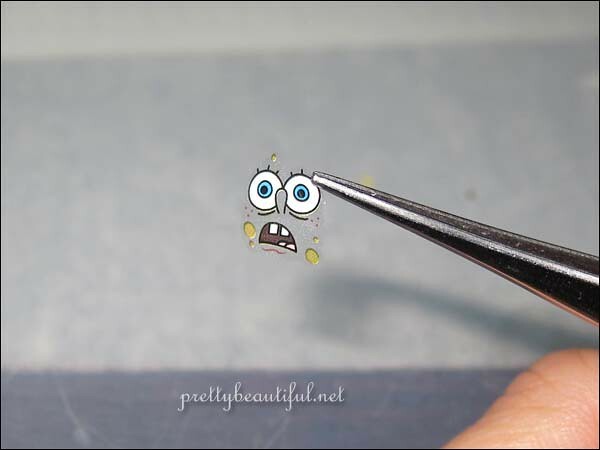 xin recently posted..Create Spongebob Squarepants Nail Art in 15 Minutes! they have quite a number of designs…i bought a 3D one too! Love this, it’s so cute! And it seems quite easy to do! Nikki recently posted..Something New: BC Fragrance + Giveaway! My Sam definitely will love this! You seem to be into stickers lately 😉 On your wardrobe and now on your nails. These are so cute! I’m gonna check out NailFiesta now! makes me wanna get some myself! Previous post: Simple Home Deco Tips: Bring the Cherry Blossoms to your Home!